As you can see in the box I got polishes from Danglefoot (YESSS! 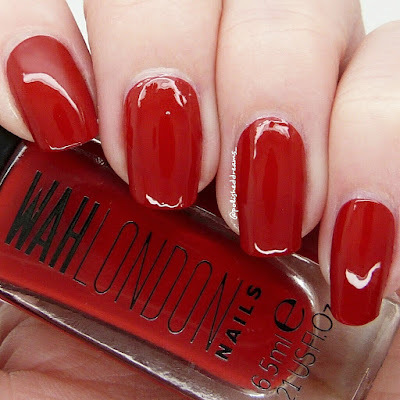 ), WAH London and Zoya as well as a mini bottle of Nail Envy from OPI. There are also some cuticle tattoos from RAD Nails and a packet of studs from Sparkly Nails. WAH London, RAD Nails and Sparkly Nails were all brands I'd never heard of before so I was very excited to try the products and see what they were like. Of course I also swatched the polishes which I bet you're dying to see yes? Yes, good. First we'll take a look at Love My Team from WAH London. 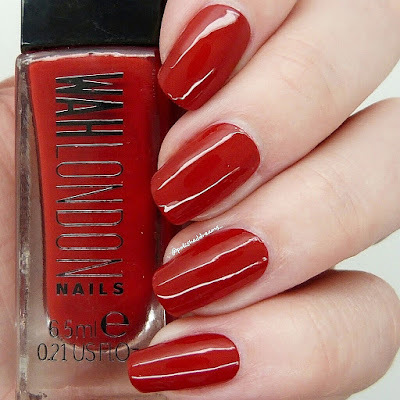 This is a deep red creme with an abolsutely amazing formula. It also totally reminded me how much I love a plain red polish as all the reds I've worn recently have have holo/shimmer/flakies in, not that there's anything wrong with that of course! 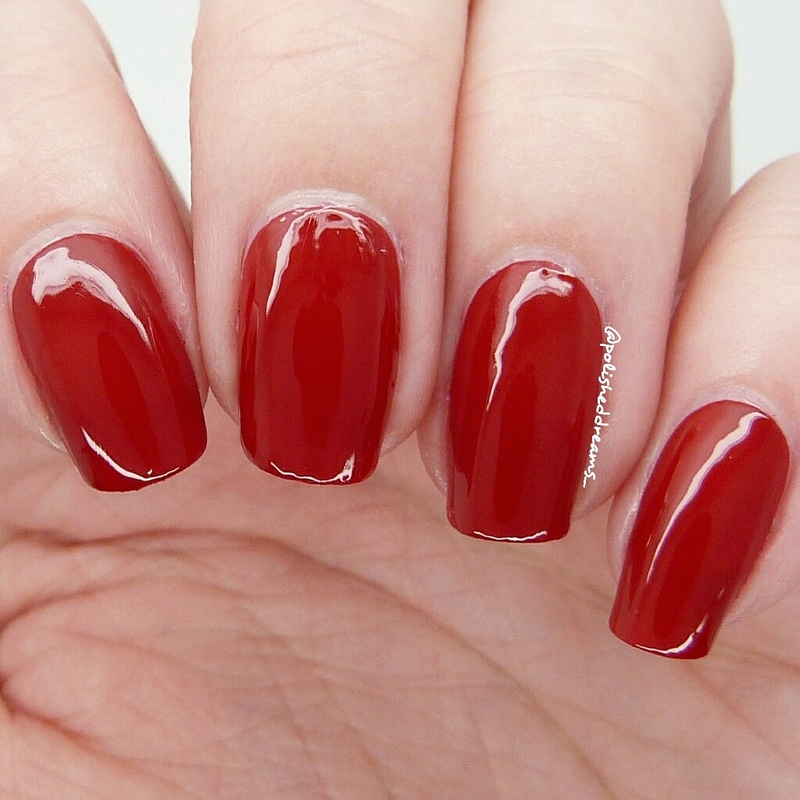 This was fully opaque in two coats and shown here with a topcoat. My only issue with this was the bottle shape...I have never struggled so much trying to figure out my hand pose! 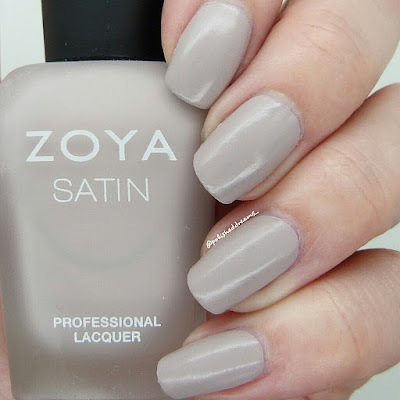 Leah from Zoya's Satin collection was also included in the box. I'd heard of Zoya before of course but I'd never actually tried/owned one of their polishes so this was also a new experience. I've shown this polish both without topcoat to show the 'satin' finish and with topcoat. I'm not too sure what I think of the satin finish but then that might just be because I don't think the colour of the polish itself looks nice on me. 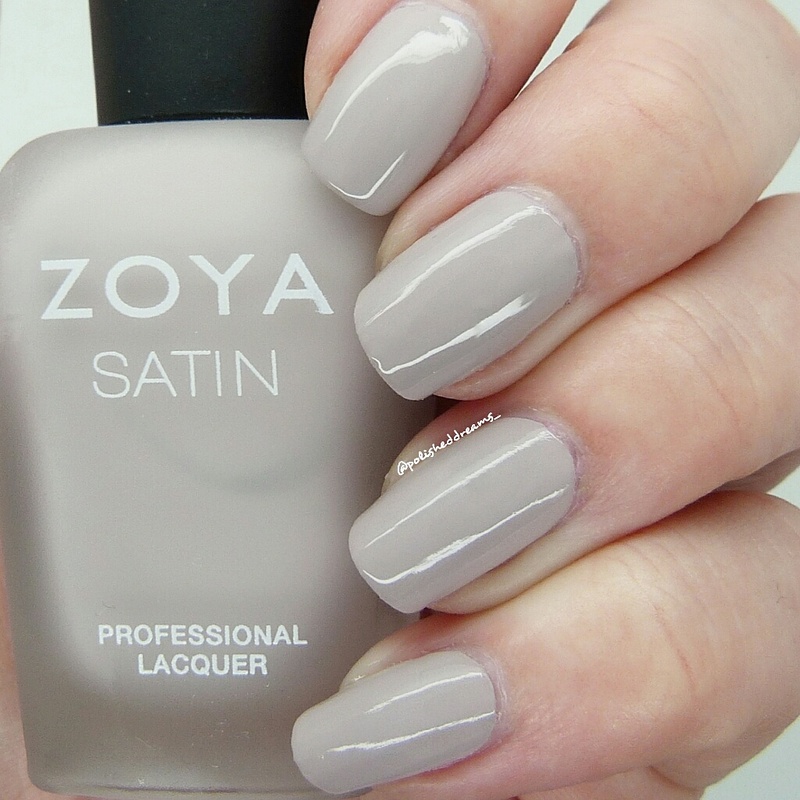 Leah was opaque in two coats. Saved my favourite until last and of course it's my beloved Danglefoot. This is Higitus Figitus a seriously black holo. Surprisingly despite my ever-growing collection from Hayley, this was one that I didn't have and I loove it. Brilliant formula and application as always, opaque in two coats and shown here with a topcoat. Aside from not loving the Zoya polish, I really really like everything else! 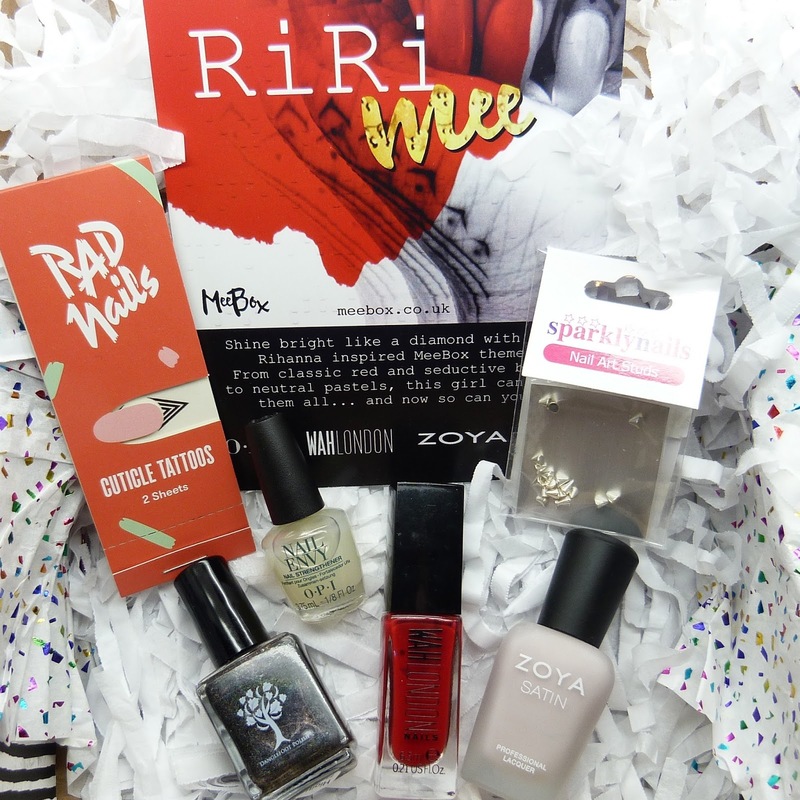 Overall I thought all of the products fitted the Rihanna theme so well. After googling her nails I can totally see why every item was chosen and MeeBox have definitely done a brilliant job. I've done a few nail art manis using the polishes and the other products so I'll be posting them on my Instagram in the next few days. I can confirm that both the cuticle tattoos and studs are great, I especially love the cuticle tattoos! I was also trying to do a bit of maths to see how worthwhile this box was in terms of money and discovered that if I had bought the three polishes on their own, that would already be over £21! Obviously that means it is great value as the Nail Envy, cuticle tattoos, studs and postage haven't even be counted and it's already over the £20 that I paid. I am already eagerly awaiting June's box which is apparently going to be an indie special! What are your thoughts on May's MeeBox? Yay for having finished exams, have you much planned for the summer? I love these nail boxes & even though the colours this month were a little boring for my taste, they fit the theme perfectly & I love the added tattoos.